JPC Law's highly experienced and specialised team, particularly within the niche area of enfranchisement, provides clients with expert advice particularly for highly technical and complex enfranchisement matters. Our firm has successfully managed and delivered results on cases where others have simply lacked the expertise and technical knowledge. With over 75% for our enfranchisement instructions coming to us through recommendations, we believe this is indicative of the service we offer. The head of department, Yashmin Mistry, has seen her gain recognition as an industry expert in the technically complex area of leasehold law, particularly collective enfranchisement and right to manage cases. Yashmin Mistry has been noted as a "Recognised Expert" in the Legal 500 bibles for 2015 2016 and 2017. Her reputation as a leading Leasehold Enfranchisement and Landlord & Tenant expert has let to Yashmin twice being voted "Solicitor of the Year" (2011 and 2015) at the New on the Block Enfranchisement Awards as well as previously achieved accolades including "Young Professional of the Year" and "Regional Solicitor of the Year". Yashmin was also short listed for 2011's "Asian Woman of the Year" and 2016's "Women in Law". An Honorary Legal Consultant for the FPRA (the Federation of Private Resident's Association), Yashmin has also been invited to join the committees of "ALEP" (Association of Leasehold Enfranchisement Practitioners) and "ARHM" (Association of Residential Housing Mangers) within the last 12 months. 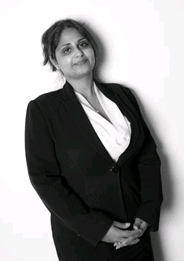 Yashmin's career to date has seen her gain recognition as an industry expert in the technically complex area of leasehold law, particularly collective enfranchisement and right to manager cases such as Daejan Investments v Benson and Rosslyn Tenants Association v Winstonworth; both outcomes leading to amendments in the law.